← First hike of the year on Feb. 27th for girls in grades 2-4! Girls Outside is ready for spring! Hello, spring! Come out, come out, wherever you are! Let’s celebrate the official first day of spring on March 20 by looking for signs that this exciting season has arrived at Forks of the River WMA. 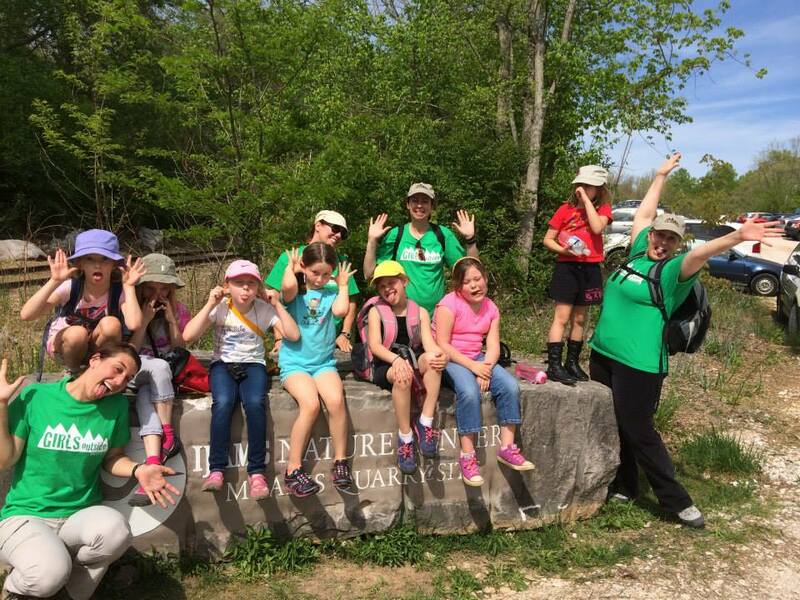 This hike is for girls in grades 2-4. We’ll take along our binoculars for birds, search the forest floor for spring wildflowers, and we’ll listen for the songs of frogs. This hike will begin at 2 PM sharp at the Ijams Meads Quarry Parking Lot and finish at 5 PM in the same spot. We will cover 2-3 miles. The deadline to register (March 16) has passed. Contact knoxgirlsoutside@gmail.com to see if any spots are available. Kelly Sturner will lead this hike. For further information please feel free to contact her at knoxgirlsoutside@gmail.com. Every G.O. hike has at least four adult female volunteer chaperones, eager to share their passion for the outdoors with the next generation. The minimum number of hikers for each group is usually six, and the maximum is 12. Please remember that each hiker must have a completed Health History Record on file. You may access, download, and print the form here. Your child’s immunization record is required as part of the form, and this can be obtained from your pediatrician. You can scan and email the form to knoxgirlsoutside@gmail.com before the hike or bring the completed form on the day of the hike. This form will be kept on file for future hikes, so you only have to fill it out once. Each hike begins with a fun get-to-know-you game and a brief lesson, from Leave No Trace principles to fun historical facts about the trail and everything in between. Wear weather-appropriate clothing and bring water and light snacks. While the mission of Girls Outside is to enjoy nature, we also hope these outings foster independence and so we encourage parents to let their girls do the hike on their own as a part of the group. Remember to leave electronic devices at home to better enjoy time in nature. Sorry there is no rain date. This hike is free! Help us spread the word or invite a friend’s child by sharing our girlsoutside.org link and this handy flyer for posting! To see the fun we have on our hikes, visit our photo gallery on Facebook. This event is held in partnership with the Girl Scout Council of the Southern Appalachians. This entry was posted in Bird Watching, Forks of the River, Girl Scouts, South Loop, Trip Announcement, Uncategorized, Urban Hike, Young Hikers and tagged birds, forest, frogs, Girl Scouts, hike, Ijams, Leave No Trace, nature, river, Spring, spring wildflowers, urban wilderness, watching, wildflowers, wildlife. Bookmark the permalink.